Swim through the coral reefs and thriving marine biodiversity of Palawan and even see numerous giant clams! Amazing tour! Ariel our tour guide is funny and kind,, he even assistef us going to coral garden snd took some photo of us,, lunch is superb!! Boat crew were nice! Seas the day and enjoy the beach life in this day tour of Coron's beaches, where you'll get to explore three of Coron's most beautiful beaches in just one day! Start your day off with a boat ride to Malcapuya Island, where you'll enjoy the panoramic views of coastal cliffs as you make your way. Once you arrive, you'll have a couple of hours to explore the secluded beach, including its powdery sands and crystal clear waters, before enjoying a quiet picnic lunch that will refresh and reenergize you for the rest of the day! You'll then travel to Banana Island, a garden-sculpted island named after its shape if seen from above. Here you can relax under the beach's shady trees and enjoy swimming in the cool waters as fish swarm all around you! 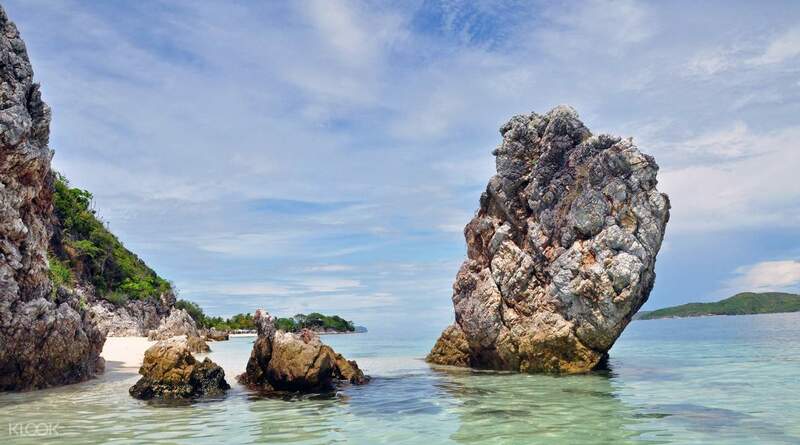 End the tour with a stop at Bulog Dos Island, where you'll get to walk on its sand bar and admire the stunning surrounding tropical views, including the most expensive and exclusive resort in Coron. This tour of Coron's fun beaches and scenic views is definitely a must-try for all travelers! The boat ride to Malcapuya Island, with it's views of the coastal cliffs, will be a fantastic start to your tour! I can just say absolutely perfect and great day. Until now the best tour I have done here. Perfect service, professional guide, delicious lunch and snack fruit including and stunning beaches. Absolutely chilling day. I can just say absolutely perfect and great day. Until now the best tour I have done here. Perfect service, professional guide, delicious lunch and snack fruit including and stunning beaches. Absolutely chilling day. We were picked up on time by Kuya Jonathan. Malcapuya Island is very beautiful. A must see in Coron. The lunch was superb!!! And of course, Kuya Nash was awesome (Naks, Kuya Nash). Never a dull moment and he made sure we were having fun. Even the boat ride was more than one hour, still it was enjoyable thanks to Kuya Nash and our new found friends! We were picked up on time by Kuya Jonathan. Malcapuya Island is very beautiful. A must see in Coron. The lunch was superb!!! And of course, Kuya Nash was awesome (Naks, Kuya Nash). Never a dull moment and he made sure we were having fun. Even the boat ride was more than one hour, still it was enjoyable thanks to Kuya Nash and our new found friends! One of the highlights and a must for everyone to experience when visiting Coron, Palawan. Pick-up was early than the schedule ( supposedly 8am, picked-up around 7:45am) but no complaints. Better early than late right? We were supposed to go to Malcapuya, and 2 other islands but was informed by our guide we will skip the other 2 and proceed with Malcapuya, Ditaytayan and Waling-waling. Everyone in the group agreed and I have no qualms since the other 2 islands are better than the other itineraru based on online review. We were not disappointed. The beauty of Ditaytayan is astonishing. We literally owned the island. Malcapuya also did not disappoint. Sadly we were not able to visit Waling-waling because no more time and its getting late so the group agreed to stay longer in Malcapuya. Food was great with grilled fish, chopsuey, shrimp, chicken inasal, pipino, ensalada and fruits. On the way home we towed another boat who had a malfunction so it took us longer to get to the pier but was happy as we were able to help out. the crew was also awesome. Overall great experience booking with Klook and their local partners Ellen and Tours and K-tours Palawan. One of the highlights and a must for everyone to experience when visiting Coron, Palawan. Pick-up was early than the schedule ( supposedly 8am, picked-up around 7:45am) but no complaints. Better early than late right? We were supposed to go to Malcapuya, and 2 other islands but was informed by our guide we will skip the other 2 and proceed with Malcapuya, Ditaytayan and Waling-waling. Everyone in the group agreed and I have no qualms since the other 2 islands are better than the other itineraru based on online review. We were not disappointed. The beauty of Ditaytayan is astonishing. We literally owned the island. Malcapuya also did not disappoint. Sadly we were not able to visit Waling-waling because no more time and its getting late so the group agreed to stay longer in Malcapuya. Food was great with grilled fish, chopsuey, shrimp, chicken inasal, pipino, ensalada and fruits. On the way home we towed another boat who had a malfunction so it took us longer to get to the pier but was happy as we were able to help out. the crew was also awesome. Overall great experience booking with Klook and their local partners Ellen and Tours and K-tours Palawan. By far the best tour i ever joined. so much love for coron😍 Our tour guide ( Kuya Jojo and Nash ) were very funny at the same time informative. Keep it up Klook! By far the best tour i ever joined. so much love for coron😍 Our tour guide ( Kuya Jojo and Nash ) were very funny at the same time informative. Keep it up Klook! Amazing tour! Ariel our tour guide is funny and kind,, he even assistef us going to coral garden snd took some photo of us,, lunch is superb!! Boat crew were nice! Amazing tour! Ariel our tour guide is funny and kind,, he even assistef us going to coral garden snd took some photo of us,, lunch is superb!! Boat crew were nice! The islands we visited are breathtaking, worth the 2 hour travel time! We also had fun on the Open Aquarium activity, feeding the fishes and watching the clams. The tour guide was also entertaining which is a plus! The islands we visited are breathtaking, worth the 2 hour travel time! We also had fun on the Open Aquarium activity, feeding the fishes and watching the clams. The tour guide was also entertaining which is a plus! We left on time and we we’re only 8 people on tour. Everyone had a great time. 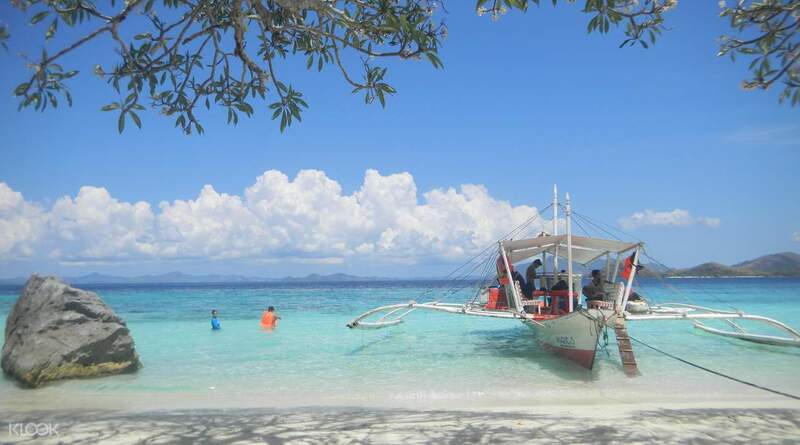 Although the itenary was different from what we booked but it was fine bcoz it was much better.waling waling island is crystal clear water.we had fish feeding and coral sighting at malcapuya beach with their open aquarium. We left on time and we we’re only 8 people on tour. Everyone had a great time. 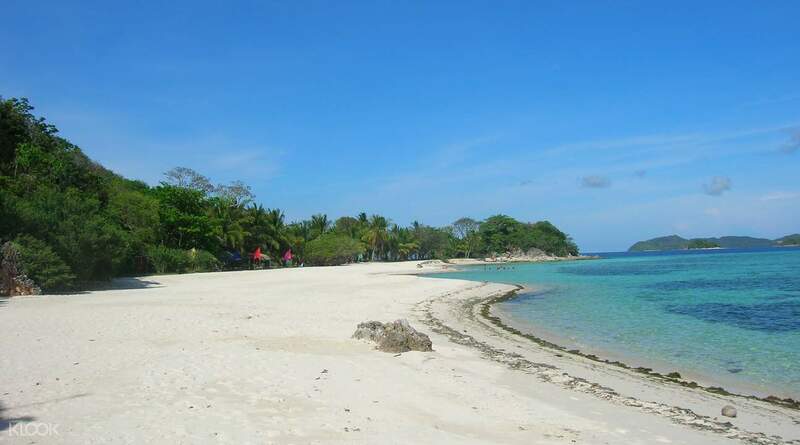 Although the itenary was different from what we booked but it was fine bcoz it was much better.waling waling island is crystal clear water.we had fish feeding and coral sighting at malcapuya beach with their open aquarium. The local travel agency is very accommodating as well as the island tour guides. Being part of a joiner tour is also nice because we were able to meet new people from different places. All in all, the experience was great! The local travel agency is very accommodating as well as the island tour guides. Being part of a joiner tour is also nice because we were able to meet new people from different places. All in all, the experience was great!